Leaders of four renewable energy trade associations today commended a last-minute vote by the Senate Finance Committee yesterday afternoon to extend and enhance production tax credits (PTCs) for all renewable energy sources. The tax credits are essential for the development of clean energy-generating facilities by offsetting the high cost of construction. Yesterday's action by the Committee will give renewable baseload technologies equitable access to this important program by allowing eligible facilities to qualify for the tax credits when construction is commenced. "We are highly encouraged that the Senate Finance Committee passed this tax credit extension, and we urge the full Senate and the House to approve the credit before the end of the 112th Congress," said Bob Cleaves, President and CEO of Biomass Power Association. "The construction of new biomass facilities can be prohibitively expensive, and our industry relies on one-time tax credits to attract private investors to support the building of new plants. An extension of PTCs will help ensure that renewable energy sources continue to produce a growing share of electricity for our nation." U.S. solar company First Solar Inc. (FSLR) said Wednesday that it will make more solar panels this year than earlier planned due to rising demand. The Arizona company said it plans to make 1,800 to 1,900 megawatts of panels this year, up from its plan in May to cut production to 1,400 to 1,700 megawatts. That compares to 2,400 megawatts of production in 2011. First Solar Chief Executive Jim Hughes said the company will make more products to meet higher-than-expected demand from customers primarily in Europe and India. First Solar reported a second-quarter profit of $111 million, or $1.27 a share, up 82% from $61.1 million, or 70 cents a share, a year earlier. Net sales jumped 80% to $957.3 million, primarily due to an increase in the number and size of projects under construction for which revenue could be booked in the second quarter. Share of First Solar were up 13% at $16.70 in after-hours trade. 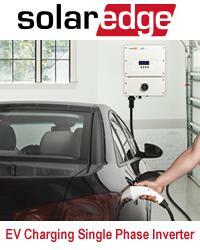 AltEnergyMag is having a residential PV system installed and monitoring the process. This is part 1 of a series of articles we will publish along the way in order to demonstrate and explain a real world project for our readers to follow and learn from. The maturity of the smart grid security in Europe could be evaluated as medium to low; that is what our study demonstrated. We are still trying to find out how to implement the smart grid on our electricity power infrastructure, after which we would conceive how the security should be applied. This is not a good approach, we need to define what instruments we should use (requirements for smart grids) in the smart grid before any other action can be taken into account.